Holly, recently turned three, is really REALLY enjoying her "reading" right now. Holly spends many a happy hour at nursery "reading" to her friends and to the staff and this last week she asked if she could take Where's Bear? into nursery to read with her friends. ...Bear really isn't very good at Hide n' Seek! Finally, Hare gives up trying and so they change roles. It turns out that both Hare AND Bear are pretty good at hiding. The repetition and counting are really what makes this book so good for preschoolers. The book has a natural rhythm that children get drawn into and both Holly and Lara (now 6) giggle every time they read it. It puts smiles on their faces. 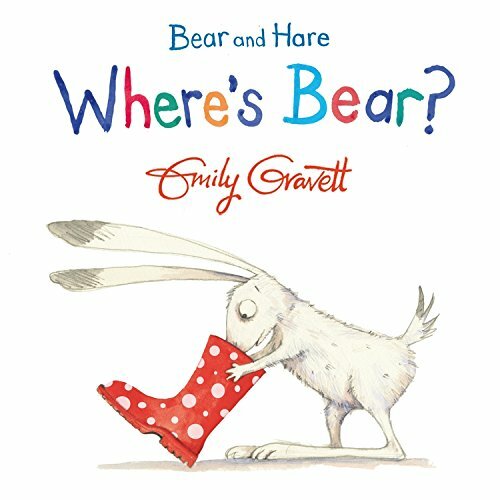 Where's Bear is the third book in the Bear and Hare board book series.